Towson’s spring season got off to a tough start with a 7-0 loss to Penn State in Happy Valley Sunday afternoon. The Tigers (0-1) fell behind, losing the first two matches as sophomore Gabby O’Gorman defeated Towson sophomore Alexa Martinez 6-1, 6-3. Freshman Themis Haliou tried to get on the board for the Tigers, but could not against sophomore Chelsea Sawyer losing, 6-3, 6-0. The Tigers sent out senior Yevgeniya Shusterman against sophomore Frederikke Svarre, but fell 6-0, 6-4. Towson saw a strong outing from senior Lucy Gloninger who forced a third set tiebreaker, but ultimately lost 6-2, 2-6, 1-0 (10-5). 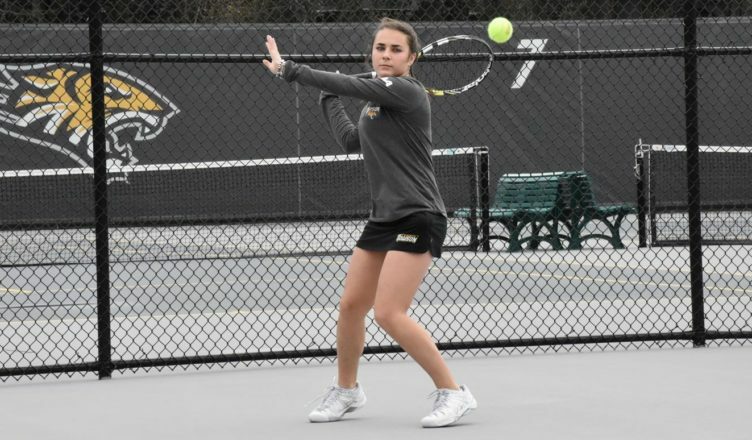 Towson looked to bounce back in doubles, starting with a duo of Martinez and Shusterman against Penn State’s O’Gorman and sophomore Olivia Rohrbacher. With a 6-1 victory, however, the Nittany Lions (4-0) continued their momentum. Haliou and Gloninger fell 6-1 against Svarre and Sawyer as Penn State took a commanding 3-0 lead. In the final match of the afternoon, freshmen Phoebe Collins and Amelia Lawson represented Towson as they faced juniors Samantha Smith and Shannon Hanley. Despite a strong effort, the Tigers failed to prevent a shutout with a 6-3 defeat. Head Coach Jamie Peterson was content with the performance, but looks for his team to improve as the season continues. The Tigers look to recover next Sunday against Navy. Towson faces the Midshipmen in Annapolis at 2 p.m.